An extra-time goal gave Tanzania’s Young Africans victory over their great rivals Simba in the final of the Cecafa Club Cup on Sunday. 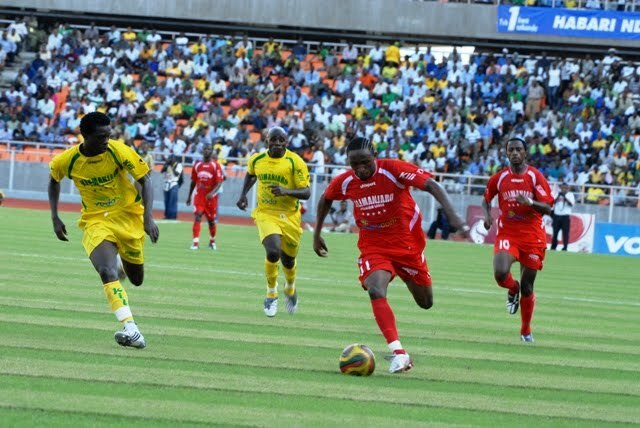 Young Africans, known as Yanga, claimed their first title in the East and Central African event since 1999. Ghana’s Kenneth Asamoah rose unchallenged to head home a Rashid Gumbo cross in the 108th minute. Asamoah plays in a team dominated by foreign players – a key part of Yanga’s strategy for success. The Tanzanian champions are coached by Uganda’s Sam Timbe, who has won the title four times with four different teams in the last six years. Yanga’s first choice goalkeeper Yaw Berko is also from Ghana , while strikers Davis Mwape and Hamis Kiiza are from Zambia and Uganda respectively. Yanga also claim the US$30,000 prize donated by Rwandan President Paul Kagame, who is the competition’s main sponsor. Simba get US$20,000 for finishing second, while Al Mereikh of Sudan, who beat St George of Ethiopia 2-0 in the third-place play-off earlier in the day, were given $10,000.